Why are you still alive? 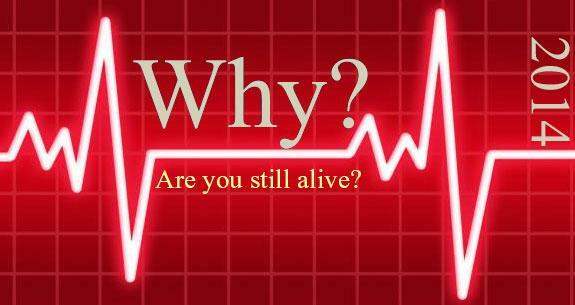 Why are you living? Others are dying and you are there, why? Eating and sleeping is another thing. When a person owns a dog, there's a reason. Is it just so it can eat? It has a purpose - to bark when thieves come into your yard. God, our creator has a purpose for you. He kept you alive for a purpose. The question is are you doing his purpose? Matthew 4:19, "Then He said to them, "Follow Me, and I will make you fishers of men." ". Jesus said I will make you fishers of men if you follow me. Submitted by Anonymous on May 4, 2014 - 05:36. Am still alive because with my singing am preaxhing the Gospel of Jesus to many people, some get saved and some get their healing and deliverance. Submitted by Anonymous on February 18, 2014 - 11:58.
i have a purpose to save help me God.